After all, I was headed to New York City for college—excited to cram myself into a tiny, expensive apartment with a roommate I didn’t know in a city full of strangers. I convinced myself that New York City was where I needed to be because it was where everyone else seemed to be going. New York City was not nearly as exciting as I thought it was going to be. I was overwhelmed with the amount of things going on every day, sometimes too overwhelmed to even get out of bed. Some nights I would think so much about what I wanted to get for dinner, that by the time I decided I was too tired to leave my apartment. After realizing that New York City wasn’t for me, my dad signed me up for a NOLS course. My brother had just completed his course—the same one my dad had done 25 years before. It became a rite of passage in my family, and I was next in line. 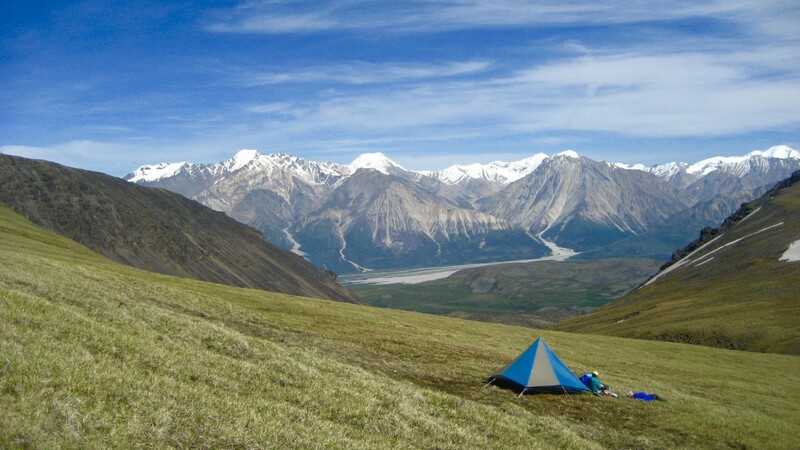 Backpacking in Alaska. 30 days. Seemed easy enough. I had even convinced my best friend to join me. I imagined us walking together, taking cool pictures, and maybe getting some cool NOLS swag to make me seem tough back in NYC. But after my first day in Palmer, Alaska, I wanted to book a flight home. Getting my backpack on was impossible. It took seven days until I could get it on by myself. My best friend and I quickly came to the realization that this wasn’t going to be a walk in the woods; this expedition was going to push us every single second of every day. She ended up evacuating herself out on the fifth day. As I waved goodbye to the plane that took off with her, I told myself that if I was going to stay, I was going to have to give it my all. I was the slowest one in my hiking group every day. Sometimes I would fall silent mid-conversation because my breath couldn’t keep up with what I was trying to say. I would count down miles obsessively, and when we got to camp I would collapse on the ground and refuse to move. I was definitely a pain to work with. When I remember Alaska, I remember extremes. I remember being in the most pain I’ve ever been in in my entire life. And I remember feeling the most love—feeling loved for who I was and loving everyone so easily for who they were. I could tell my coursemates loved me by the way they pretended to enjoy my spicy mashed-potato soup. Or by the way they would encourage me with songs from my favorite artists, like Blink 182’s “All The Small Things” while I slowly wobbled along a scree field. I spent that month laughing so hard, and getting the most feeling out of every day. In New York City, I had become numb to interactions with people, and I had easily avoided hardship by sinking into comfort. I had no idea about the range of feeling and emotion I was missing out on. After my course, I went back to New York City feeling alone. I felt like I knew this big secret that no one else knew. 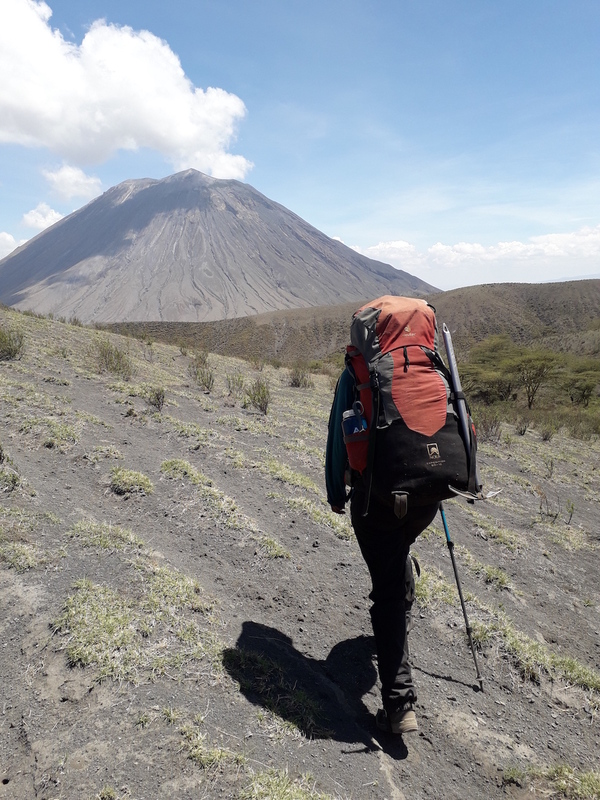 I wanted to scream in everyone’s face, “You are capable of feeling so much more!” But the city got to me, and in a couple of months I lost the fantastical, hopeful feeling that comes after a NOLS course. I became a numb city zombie who had lost touch with herself and reality. Canoeing with my instructor on the Green River. Photo by Will Stubblefield. My instructors had talked about post-NOLS withdrawal. Living with only my teammates, facing only the obstacles that the wild presented me with, had quickly become my reality. Then, that reality had ended, and I was back to dealing with obstacles that I couldn’t hike over or treat with a first aid kit. What I had initially loved about New Yorkers was that they were independent people, and I had longed to be like them. Coming back, I felt that the entire city was doing it wrong. I had grown to love collaboration, but I had returned to a city where people seemed to want nothing to do with each other. I fell out of touch with my NOLS friends, because when you let life happen to you, and you’re not intentional with meaningful relationships, you lose the people that matter most. That was an important realization I had later, and a mistake I won’t make again. 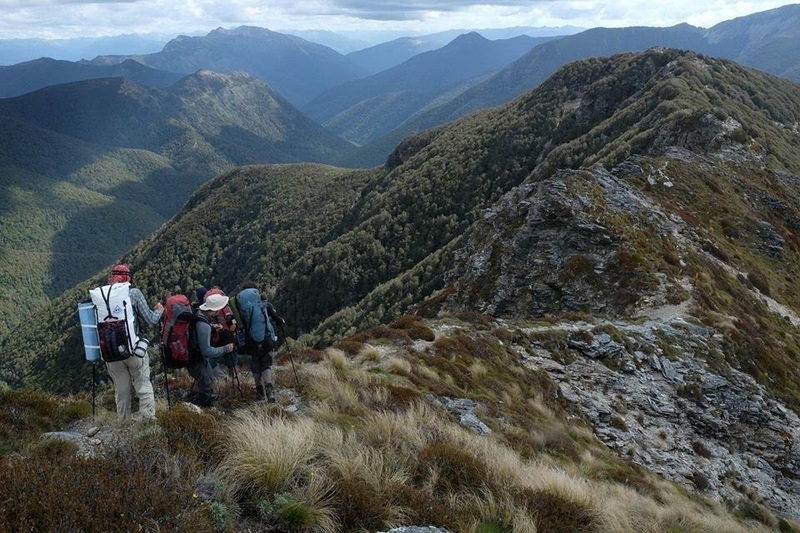 I decided to take another NOLS course. I left NYC for good after my sophomore year of college and signed up for a Semester in the Rockies. I was nervous whenever I thought about the pain that I had felt in Alaska. This time I surely wouldn’t make it up the canyons, rocks, mountains, or whatever else the Rockies were going to throw at me. When I arrived in Lander, WY, the starting point for my course, I was terrified, but I told myself I was going to do it right this time. I was going to study the power of community and expeditions. I was going to let myself love others intensely, and I was going to take home that passion so I could learn to love others everywhere I went. 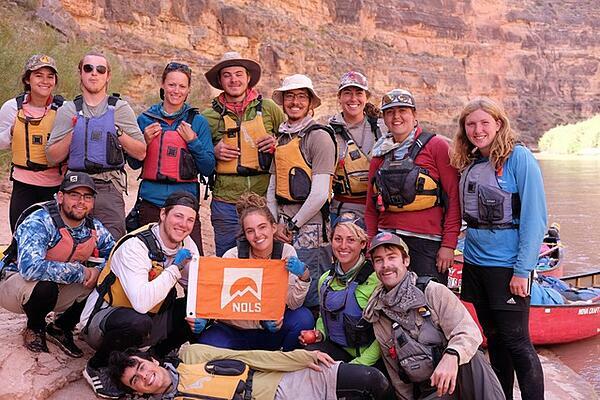 I was determined to bring home the discipline, compassion, and perseverance that NOLS had taught me. It was hard. Again. I remember collapsing by a stream when the late-August heat of the Wind River Range felt like it was breaking me during the backpacking section. 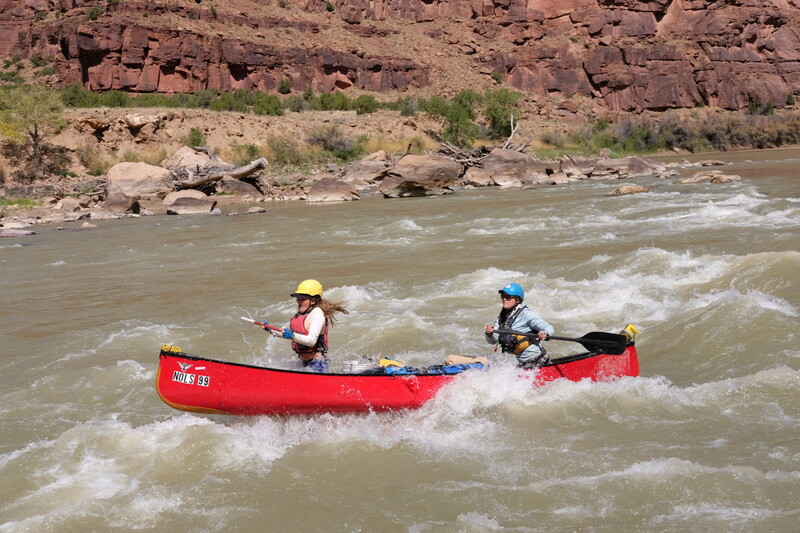 I remember throwing my paddle in the Green River out of frustration during the river section. I’ve never been more angry at myself than when I couldn’t crack a 5.10a climbing route in Idaho, and I hung there in my harness for what seemed like hours. I remember scenarios for the Wilderness First Responder course in the freezing rain, and nights in the desert that were so cold I couldn’t sleep. And I remember the good, too. I remember a birthday cake made out of malt balls, brownie mix, and coffee grounds. I remember being able to tell I was loved by the way people spoke to me. I remember campfires and counting shooting stars. I remember group cuddles and singing on trails. I remember laughs so loud they shook the canyon walls, and hugs so big they stopped the world from turning. I remember my teammate refusing to let me down from that 5.10a, and I remember making it to the top with tears running down my face. I remember climbing to the top of the Continental Divide with shaking knees. I was impressed with how my body refused to listen to my mind and carried me to the top, despite my brain insisting that it couldn’t. Since my semester has ended, I’ve been gentle with myself. I keep up relationships with my friends from that course, and I continue to be mindful about how I approach the obstacles that I face today. 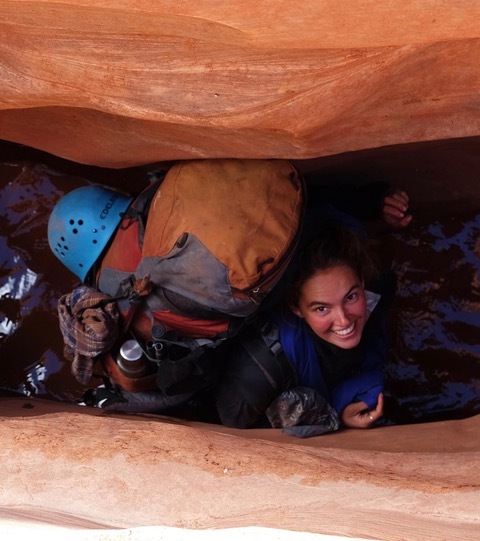 I often return to the mental spaces I created and lived in during that fall—I am intentional, honest, and fearless, like every other NOLS grad I meet. 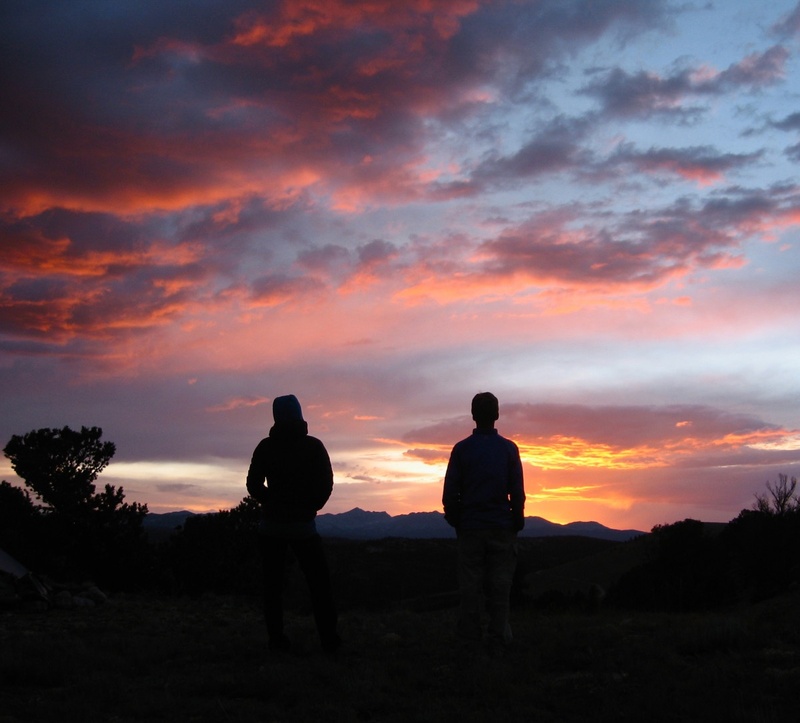 I learned so much from my NOLS courses: I learned how to live in the moment, and I learned how to love others and myself for what we have to offer. 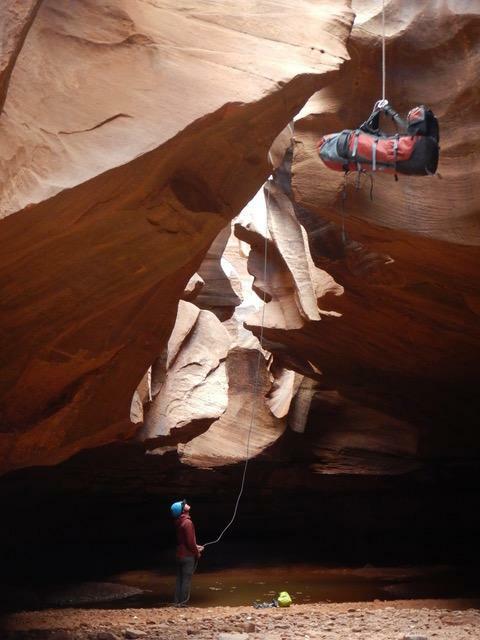 Squeezing through a canyon. Photo courtesy of Elena Cabot Rodriguez. But the most valuable lesson NOLS taught me was how to fully feel the intensity of the world, for the good, the bad, and the beautiful. 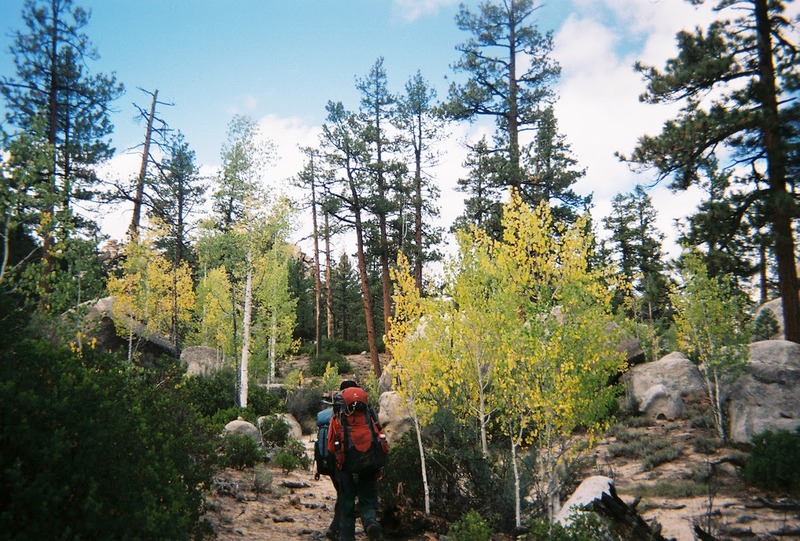 See Elena's course, the Semester in the Rockies.